You don't see these too often in Copenhagen. Little trailers for hauling your kids on their own bike. The family looked like tourists. 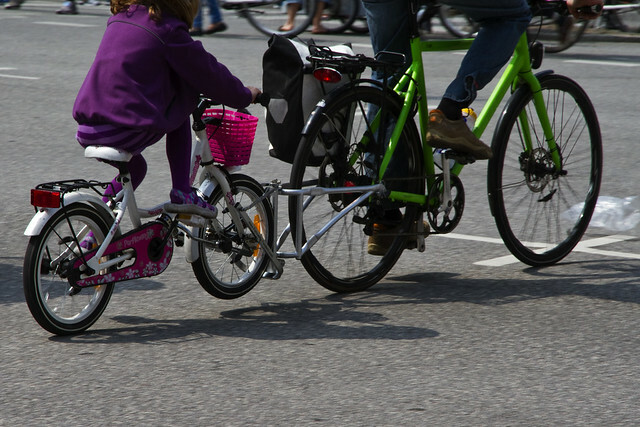 Kids will largely ride their bikes or be transported in cargo bikes. Perhaps that's the reason. Although it's a great little idea.